What do you do with loads of data that you have collected over the years? How do you monetize your most valuable asset? Its not about collecting more and more data but what you do with it. Making Money out of Data is an insightful journey to the undiscovered corners of data and analytics, unlocking mysteries that people are incensed with, through real examples from different industries like Insurance, Retail, Telecommunications and CPG. The book contains five different stories, each containing a unique problem set; a panic attack type of situation; enter our protagonist and these complex business problems turn into millions of dollars. 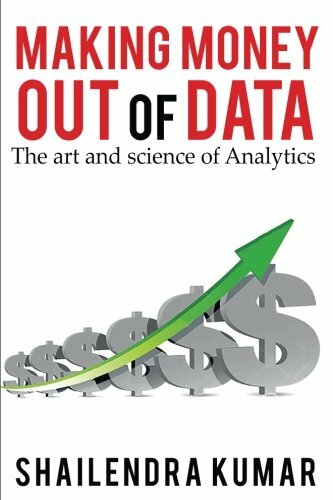 This book is laden with personal experiences of the author of over two decades and provides valuable insights on how millions of dollars can be made via analytics. Dive into the ocean of data-inspired stories and explore the depth and intensity of power of data.